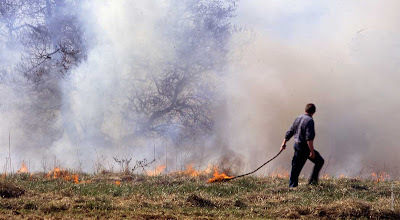 Annual Burn at the Meadow - Seven Ponds Farm. Photo Nelson Byrd Woltz Landscape Architects. THOMAS WOLTZ is one of the good guys and it doesn't hurt that he is good looking and has the manners of a Southern gentleman. Woltz's first point was that the firm's projects are collaborative: the result of everyone in the firm, plus the craftsmen, horticultrists, botanists, historians, scientists, and ecologists they work with. It is a "rich web of partnerships". 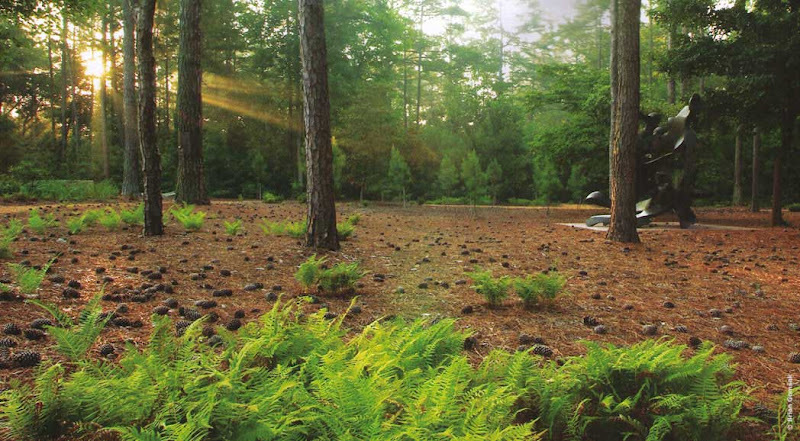 Cedars, Long Island, Photo Nelson Byrd Woltz Landscape Architects. How about this for an opening, "Landscape can do jobs... A garden can have meaning and perform ecological services." Woltzs' ideas are powerful, but even more powerful is his rhetoric. With modesty, charm and knowledge, Woltz built his own narrative around respect for the land. Providence Road Garden. 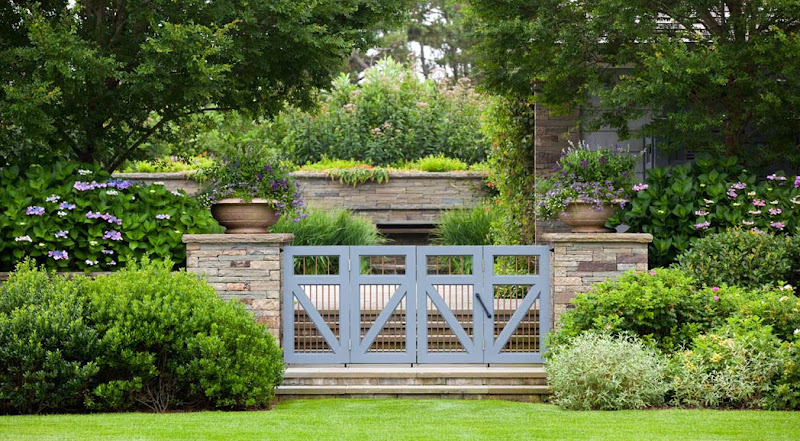 Photo Nelson Byrd Woltz Landscape Architects. It's hard to be sincere these days. Especially difficult to talk about "listening to the land" without being didactic or preachy. Woltz was neither. Each project had a big IDEA. In a small backyard in Manhattan, Woltz created a story for elements in the space around the idea of NEST. From the furniture to the fountain to the living wall, the concept of nest was expressed as a place for familial gatherings and horticultural devices. Selling an idea to a client is always crucial. Woltz's storyline creates a script the client can embrace. Perhaps, for the millionaires that own these estates, sustainability is a vision they want to own, both metaphorically and physically. Double Dune Garden, Long Island. 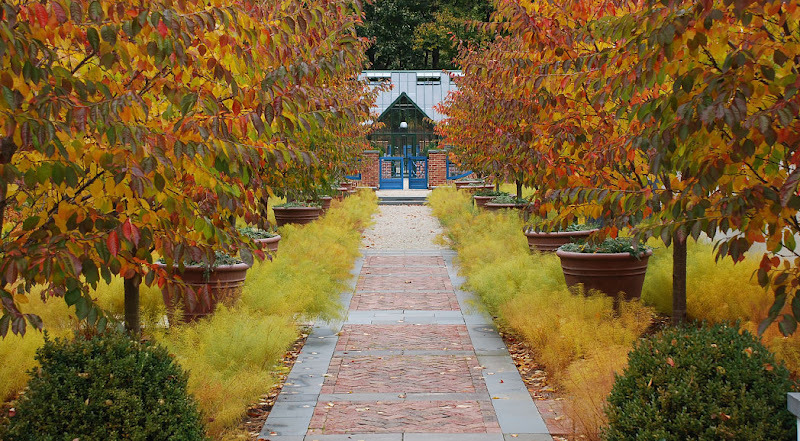 Photo Nelson Bryd Woltz Landscape Architects. 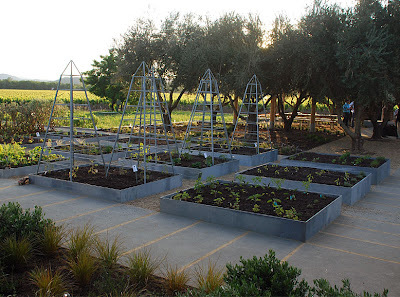 In a winery in California, which is organic and biodynamic: "We wanted the garden to reflect the values of the owners". 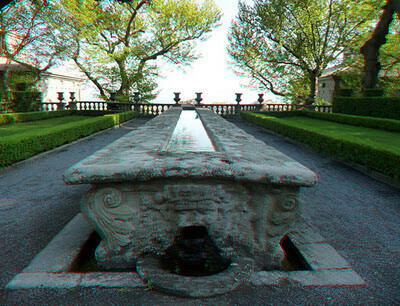 The wine tasting table which holds bottles of wine set in ice for tasting; Woltz freely admits is a rip off of the Villa Lante stone dining table. Given the opportunity to riff on Cardinal Gambara, wouldn't you? 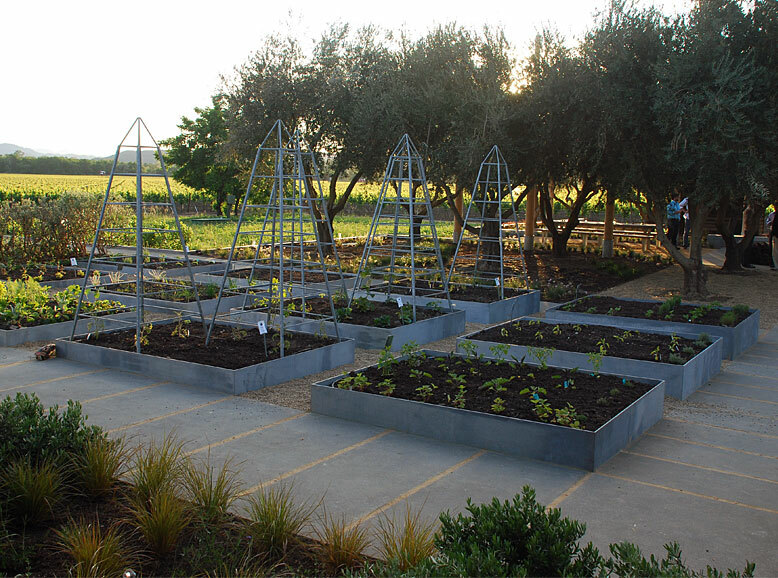 Vegetable garden at the winery. Photo Nelson Byrd Woltz Landscape Architects. with the land we're responsible for." I realize that this lecture was so packed with ideas, that trying to cover it would make this the longest blog in the world. The take away: the ability to tell a good story is essential.